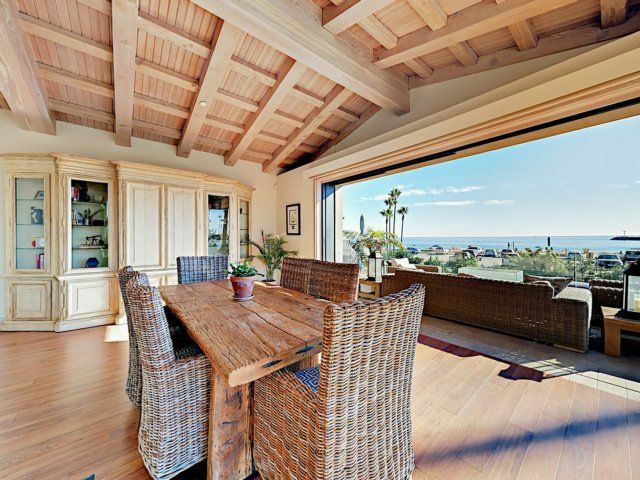 This luxurious 4BR/4.5BA beachfront house offers views that are guaranteed to take your breath away. 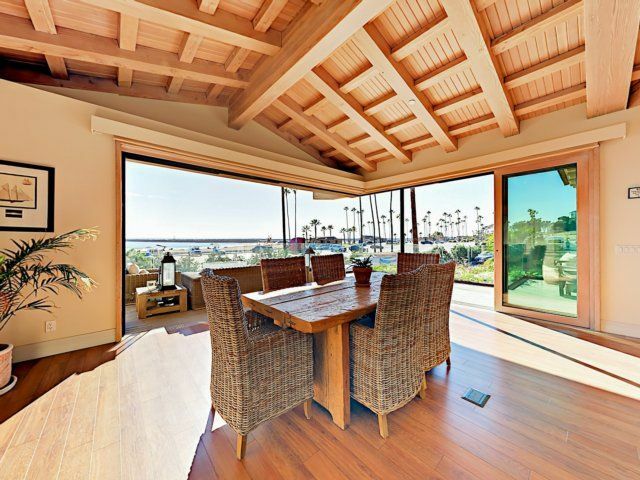 Magnificent retractable glass walls open the interior space to an outdoor living area overlooking the Pacific Ocean. 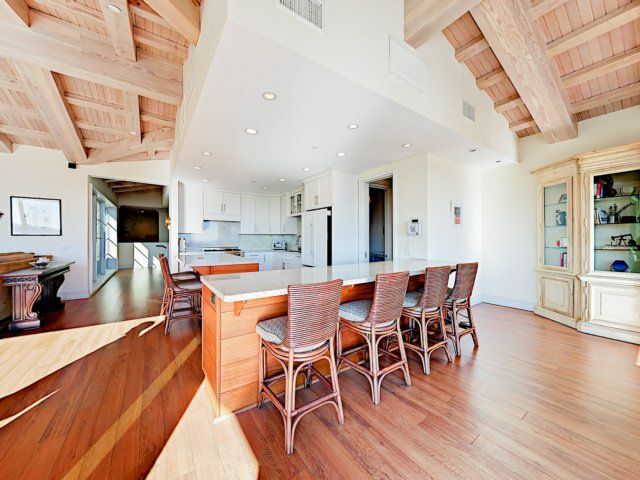 Designed with stunning interior detail, this seaside retreat features hardwood floors and open beam ceiling throughout. 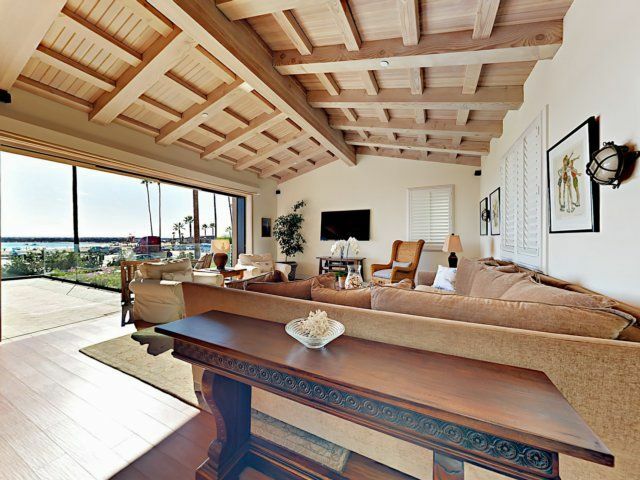 Located on Big Corona Beach, a popular family beach known for its incredible sunsets. 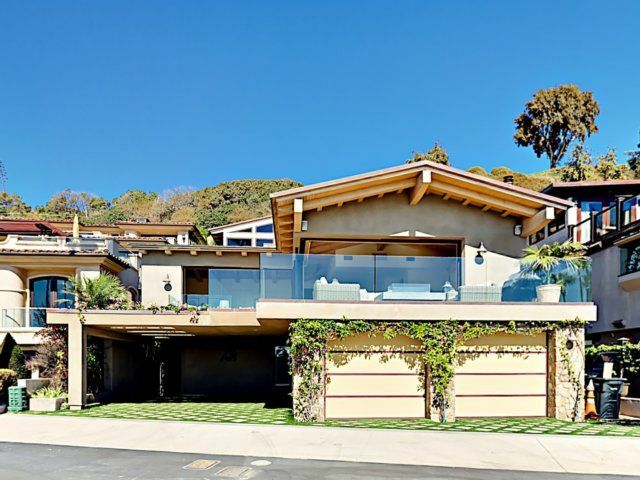 Famed as ?The Crown of the Sea?, the quaint neighborhood of Corona del Mar pairs diverse dining choices, such as Mediterranean, Italian, Thai - causal upscale, and quiet music spots. 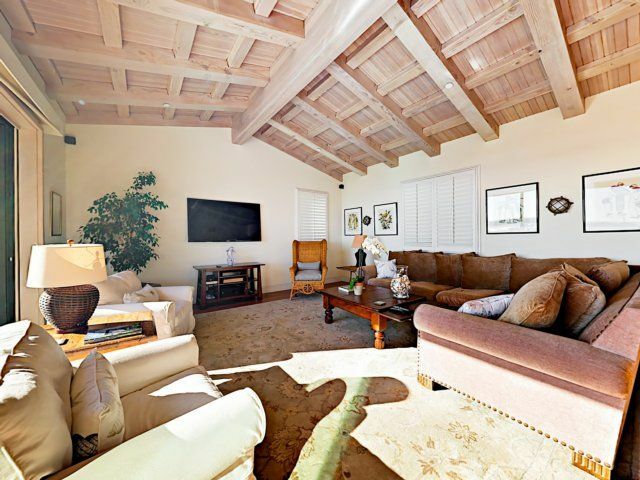 Sprawl out on the comfy sectional sofa in the grand living room for a family game night or movie screening on the 64? flat screen TV. Three armchairs offer plush seating for reading and relaxing. A sleeper sofa offers additional sleeping options. 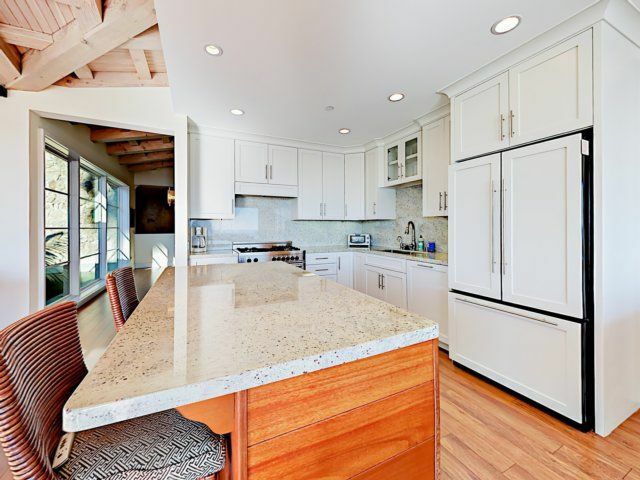 Sparkling quartz countertops and stainless-steel appliances outfit the gourmet kitchen. 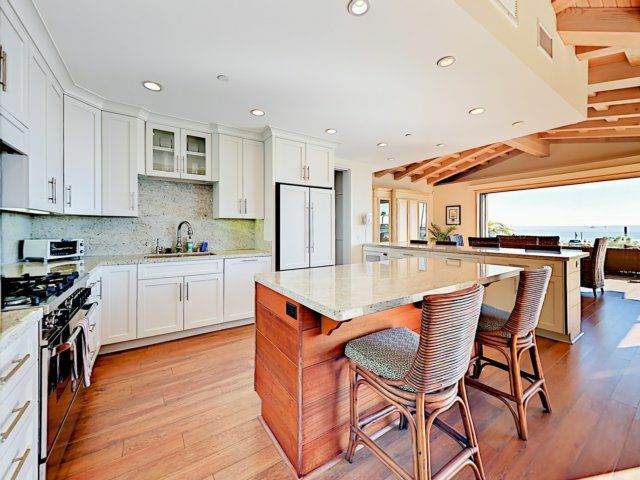 Chefs will adore the large center island and additional breakfast bar? 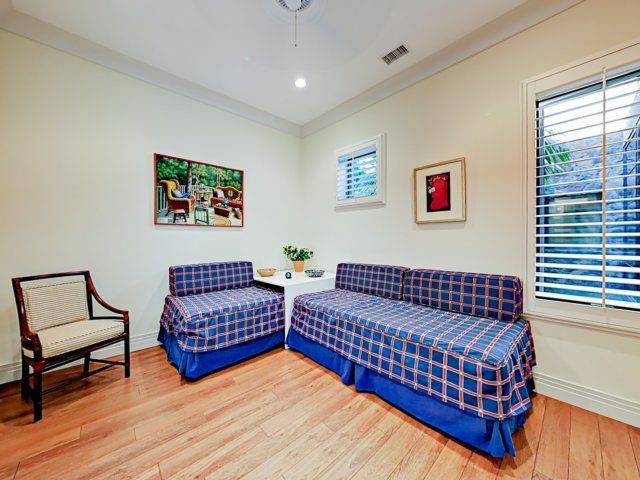 offering plenty of prep space for home-cooked meals as well as seating for seven. 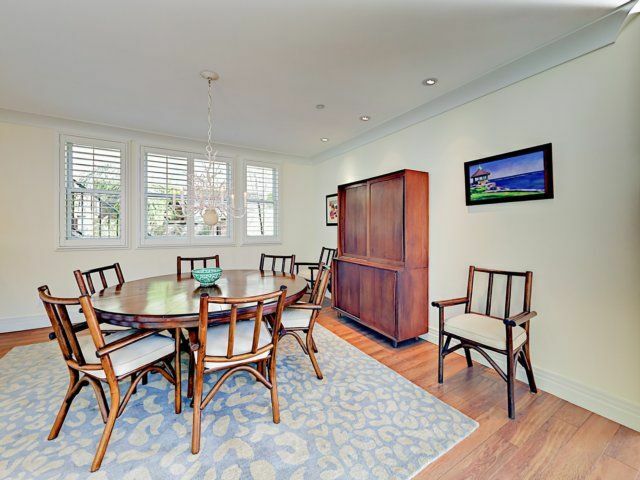 Two separate dining room tables provide ample space for large dinner gatherings. 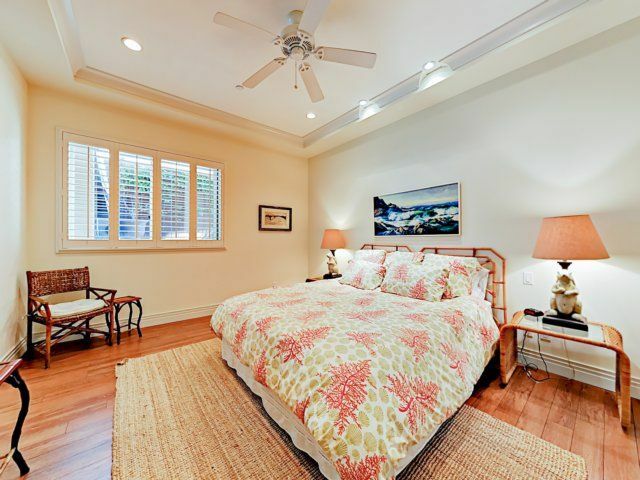 This oceanside house includes four bedrooms that sleep eight total. 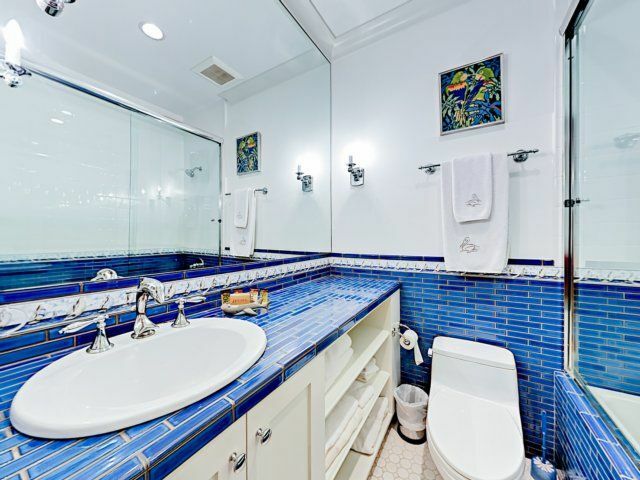 Four full bathrooms and one half-bath are stocked with complimentary starter supplies of toiletries. The master suite is outfitted with a king-size bed and writing desk. 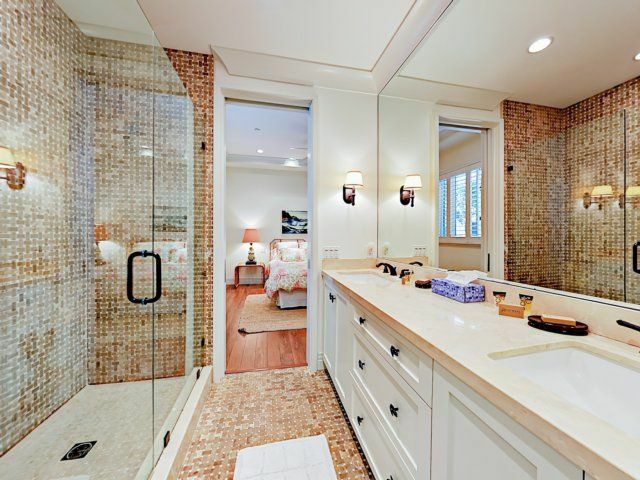 The fabulous European-style en-suite bath has a soaking tub, separate walk-in shower, and spacious double vanity ? 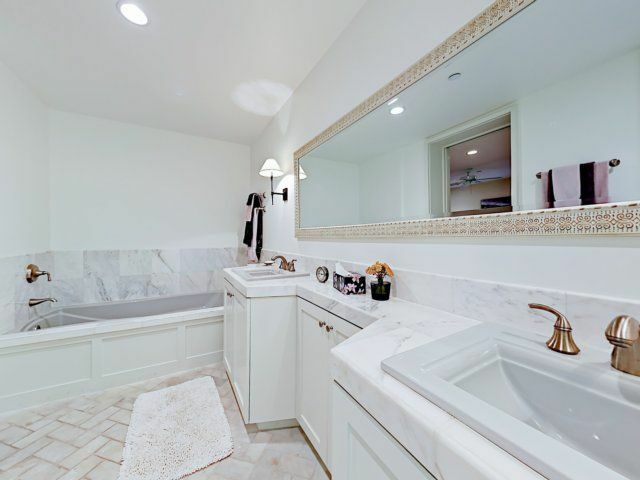 with gorgeous white marble flowing throughout. 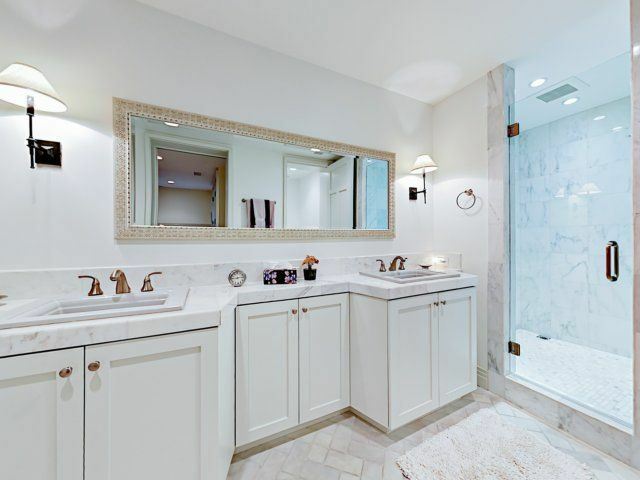 The second bedroom includes a California king-size bed, walk-in closet, and en-suite bathroom with a double vanity and tiled walk-in shower. 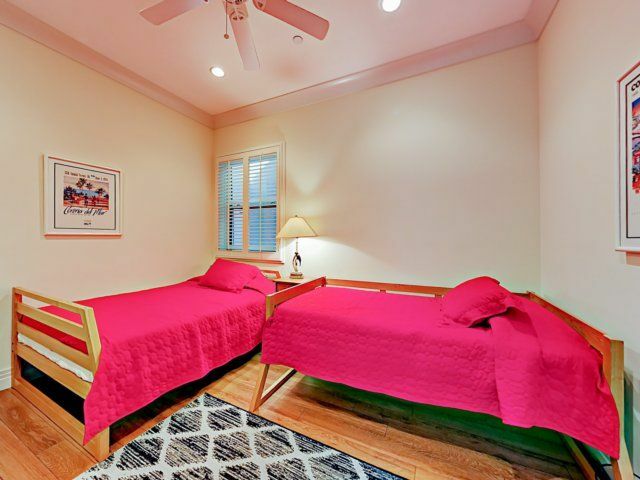 Two twin beds in the third bedroom can be configured to form a king-size bed. 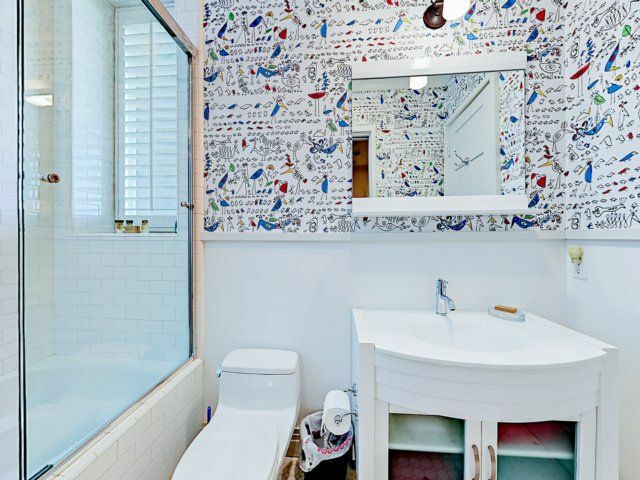 An en-suite bathroom with a tub/shower combination completes the third bedroom. 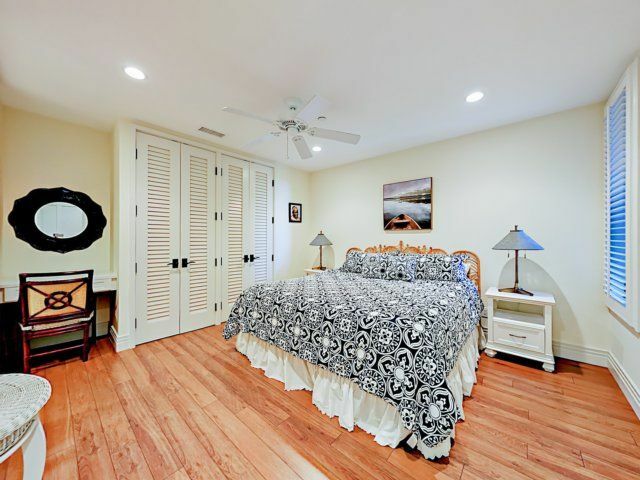 The fourth bedroom features one twin bed, one full-size bed, and an en-suite bathroom with a tub/shower combination. Retractable glass windows open up to the impressive outdoor living space complete with comfortable furniture? perfect for group lounging. Fire up the gas grill and unwind with a cold beverage while you watch a gorgeous California sunset. Parking is available for 2 small vehicles (or 1 SUV) in the carport. Street parking is available for three additional vehicles? parking passes are required and provided. A washer/dryer and complimentary Wi-Fi are provided. For a day in the sun, head to Big Corona Beach, a stretch of sand that?s popular with surfers, divers, and volleyball players. For added convenience, your beach house comes fully stocked with boogie boards, volleyballs, beach chairs and toys. Nearby, a museum of living plants is on display at the Sherman Library and Gardens? a unique must-see attraction. Visit Newport and Laguna Beach to find a plethora of restaurants and small boutiques. Enjoy a Southwestern-American dinner at Bandera or try a local favorite, The Quiet Woman. Upon arrival, your rental will be professionally cleaned and ready for you to enjoy. You can expect all comforts of a fine hotel, including shampoo, soaps, paper products, towels, and linens. Your home will include a HomeDroid tablet (electronic guest directory) providing specific home details, local suggestions, Wi-Fi access, TV instructions, and more. Stayed for 9 days in February, 2018 Very private and quiet neighborhood. Enjoyed the morning walks on the beach and watched the sunset from the porch everyday. Will definitely come back to stay again in the near future. Overall a great experience! Stayed for 5 days in March, 2018 You get what you pay for! Lovely house, exactly as represented in the description. Right on the beach -- we loved Corona Del Mar. 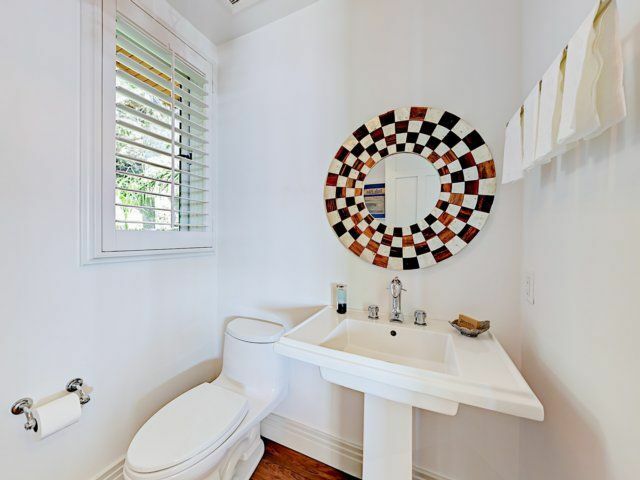 Each room has a private bath, which is perfect for privacy. We will be back. Such a small thing, but cell phones don't work in the home, and WiFi is spotty. Was a minor issue when we had some work to get done, but not a big deal if you plan around it.